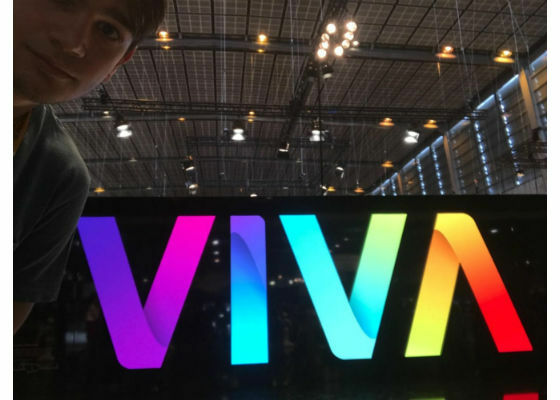 I recently spent 3 days in Paris at the Viva Technology Conference, the premier technology conference in France. At VivaTech, I was exposed to many different new products and technologies and I was given the opportunity to listen to speeches given by the technology visionaries that will change the world. The speakers included the CEO of Alibaba, Daniel Zhang, Executive Chairman of Alphabet, Eric Schmidt, and many more leaders in the tech world. Emmanuel Macron, the French President, even made an appearance to show his support of the vast innovation the conference had to offer. During my at VivaTech, I was able to meet new people and experience the newest and most astounding technology the conference had to offer. I want to share the ideas and technology that blew my mind the most. Dr. Luc Julia, a leader in the field of the Internet of Things (IoT), believes that current IoT projects are not even close to unlocking their true potential yet. Currently IoT devices allow a user to control everything from a car to a coffee machine. However, a user must have an app for each IoT device they use for them to communicate with each other. Individually these IoT solutions do not reach their full potential; they must be able to communicate with one another and the data generated can make the user experience better. Now think about combining all of this data using deep learning (DL) and Artificial Intelligence (AI). Currently, there is an open source platform called IFTTT that attempts to allow users to connect all of their IoT devices. To give an example, when a user calls and tells their coffee maker to make coffee, the coffee maker would know that the user goes straight to the car afterward, and so it would start the car for the user. This is just a simple example of how IFTTT with IoT and AI can change the consumer experience significantly; now imagine this connection and the impact it would have on a much larger scale. Dr. Julia believes the level which IoT and AI needs to be at is "(IFTTT)^10". This could only be possible if all of the data from all connected devices are compiled together to develop the future of AI and IoT. In addition to IFTTT, Dr. Julia and Samsung have developed and released Artik, which allows users to have "end-to-end IoT." Meaning, the user is given access to the hardware, the cloud, and powerful rule engine. This must be done to fully realize the potential of IoT and is the new definition of IoT according to Dr. Luc Julia. Andreas Kunze, the CEO and Co-Founder of Konux, spoke about how his company is using AI and IoT to change how transportation works. Konux is currently working with Deutsche Bahn, the German National Railway company, to implement AI and IoT into their transportation system that can predict when maintenance is required or when a part is going to break. Deutsche Bahn moves thousands of people every day; two billion every year. Konux's software and sensors can prevent delays and cancellations for all passengers of the railways. More importantly, it can prevent mechanic failures, thus preventing accidents and substantially increasing the safety of the passengers. Andreas Kunze believes that the key to making the software as robust as possible is the continuous integration of new software and hardware. This is how AI and IoT will change technology and eventually, the world. IBM Watson, an AI platform famed for beating contestants on Jeopardy, has current applications in the more artistic side of AI. IBM and the marketing firm, Ogilvy & Mather, have teamed up to create art that reflects your own personality. Watson would prompt you with a series of what seemed like random questions, for example, "Describe your childhood best friend." These were not random questions, as one of the leaders in Art with the Watson Project, Tim Graves, explained to me. The questions were based on psycholinguistics and were meant as a way for people to open up about themselves. 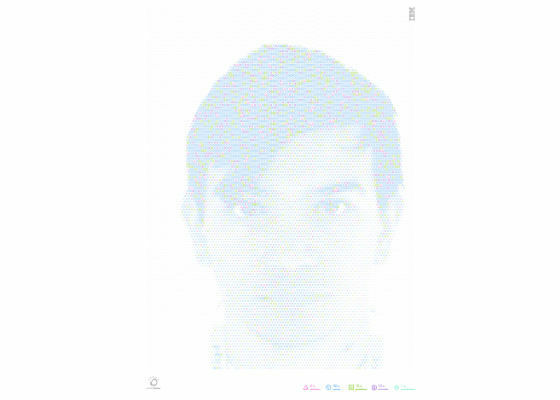 Using Tone analyzer API and Text to Speech API, Watson was able to print out a picture of you that was color coded to represent certain personality traits such as openness, conscientiousness, extraversion, agreeableness, and anxiousness. For example, Watson believes I possess the following amounts of each trait; Openness: 92%, Conscientiousness: 1%, Extraversion: 13%, Agreeableness: 16%, and Anxiousness: 6%. The Following portrait of me is shown below. In an artistic representation, it is actually quite deep. It's what IBM calls a hidden portrait that not only shows how you look but also what type of person you are. Art with Watson shows that AI can be used for more than just allowing us to do everything faster and better, it can also make us reflect upon ourselves. Heuritech is a start-up that finds and understands fashion trends through AI and data mining techniques. I was able to speak to Charles Ollion, co-founder of Heuritech. He told me that they look all over the internet in images, videos, and articles to detect new fashions. Their AI system can detect color, style, and even brands of clothing. Put all this data together and they can figure out what is trending, where, and for what demographic. I found this really intriguing because fashion trends seem to be unquantifiable at first. But talking to Charles opened my mind to how one can track and detect fashion. Heuritech went on to win the LVMH Innovation award at VivaTech and rightfully so because they can really change the way companies understand trends and the competitive nature of the fashion world altogether. Big Data, AI, and Fashion have the power to change how we buy, sell, and wear. This event really opened up my eyes to the possibilities. 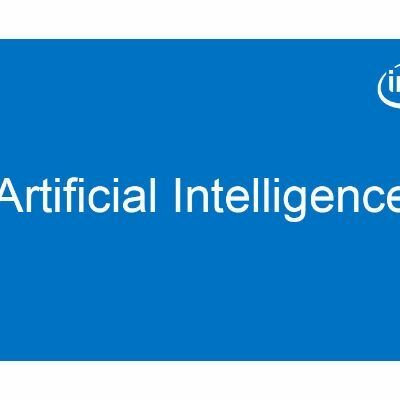 There are so many ways to utilize AI, DL, and IoT to create solutions to problems and make our lives easier. Whether it’s creating devices that can predict what we need or want or training models to see the trends that are happening so that business can pivot to the market. I can see that we are only in the early stages of what can be done using IoT and the future is very exciting.